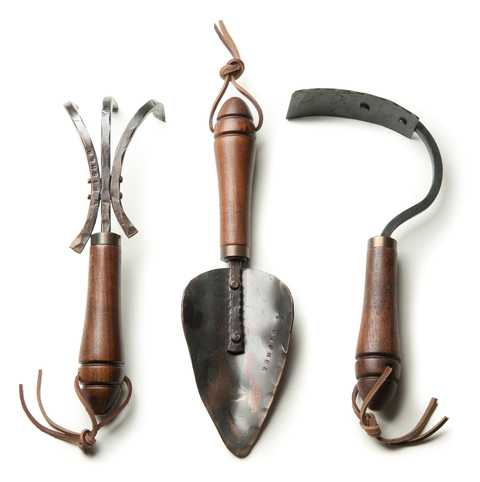 With strong, hand-forged steel skillfully set into stunning, rich walnut handles, this three-piece set elevates gardening to an art form. Perfect for getting your hands dirty and turning some soil. hand rake 29.5cm (11.625") long x 13cm (5.25") , trowel 31cm (12.25") long x 10cm (4") wide and square hoe 28cm (11") long x 14cm (5.5") wide. Each tool weighs approximately (340gm) 12oz.